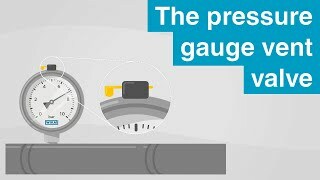 The basis for an electronic pressure measuring instrument is formed by the pressure sensor. It converts the measurement parameter of pressure into an electronic signal. The advantage of electronic pressure measuring instruments lies in the excellent dynamic performance and the low material stress. This gives them a high load resistance and long-term stability. They are available in very small sizes. WIKA develops and produces all leading sensor technologies: Ceramic thick film, metal thin film and piezoresistive. Electronic assemblies or components are integrated into a mechanical pressure measuring instruments The measured pressure is displayed locally, however, in addition, the pressure measuring instrument offers an electrical signal or includes an electrical switching function. With these instruments, the measured value can also be read reliably on site if the power supply fails or the measuring signal is disrupted. With the combination of mechanical measuring instruments with different signals and switches, this results in a comprehensive range of mechatronic pressure measuring instruments. For our pressure measuring instruments we use the latest sensor technologies, tested millions of times over in automotive applications. They work without any kind of mechanical contact, consequently they are wear-resistant, and there's absolutely no influence on the pressure measuring instrument. Because of their robustness and simple handling, indicating pressure measuring instruments are widely used. Their elastic pressure elements deform under the influence of pressure. The measuring system is made from a capsule element, diaphragm element or Bourdon tube. The measuring systems are made from copper alloys, alloyed steels or, if required for specific measuring tasks, from special materials. 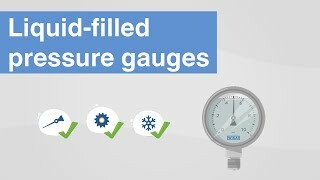 WIKA manufactures mechanical pressure measuring instruments with scale ranges from 0 … 0.5 mbar up to 0 … 7,000 bar with indication accuracies of up to 0.1 %. For pressure measurement with high dynamic pressure loads or vibration, you will find mechanical pressure measuring instruments with liquid filling in the WIKA portfolio. Through their damping, they are optimally protected against destruction. Even for the most demanding measuring requirements, you'll find the right solution with WIKA. Diaphragm seals enable pressure measurement with harsh conditions such as, for example, corrosive, highly viscous or fibrous media, very high temperatures, awkwardly placed measuring points, hygienic regulations or also toxic media or media harmful to the environment.